First in the bestselling series! Say hello to Nikki Maxwell: the loveable dork who’s taken over the world. 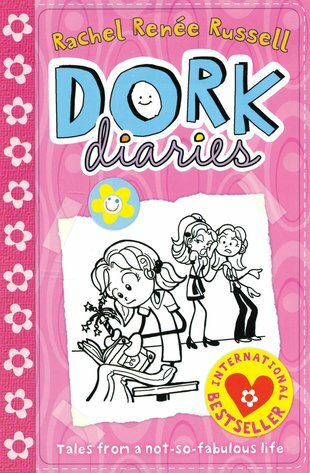 Basically, she’s the female Wimpy Kid – super-funny, socially challenged and totally ruling the book charts. Nikki has always been a massive dork, but now she’s making a fresh start. She’s moving to a new school: a chance to (hopefully) leave her old lame ways in the past. Giggle at Nikki’s doodles and diary entries as she starts at her new school and instantly makes a bitter enemy. Oops! Will Nikki ever shake off her dorky ways? Don’t tell her we said this – but we totally hope not!